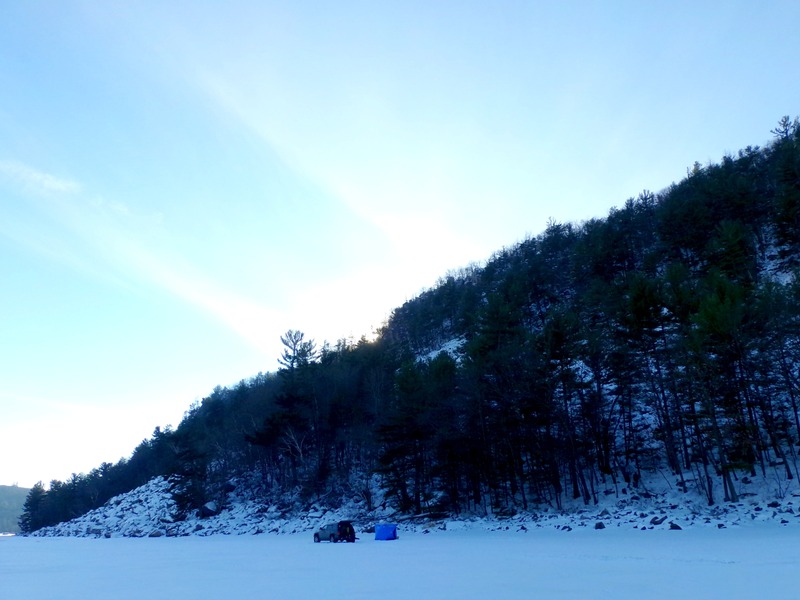 Sunday afternoon, we hooked up the boat, dumped our gear into the truck, and headed on over to Fox Lake to do some fishing. Orange catamaran was cooking along. At least we weren’t skunked. I’ll cut to the chase- it sucked. 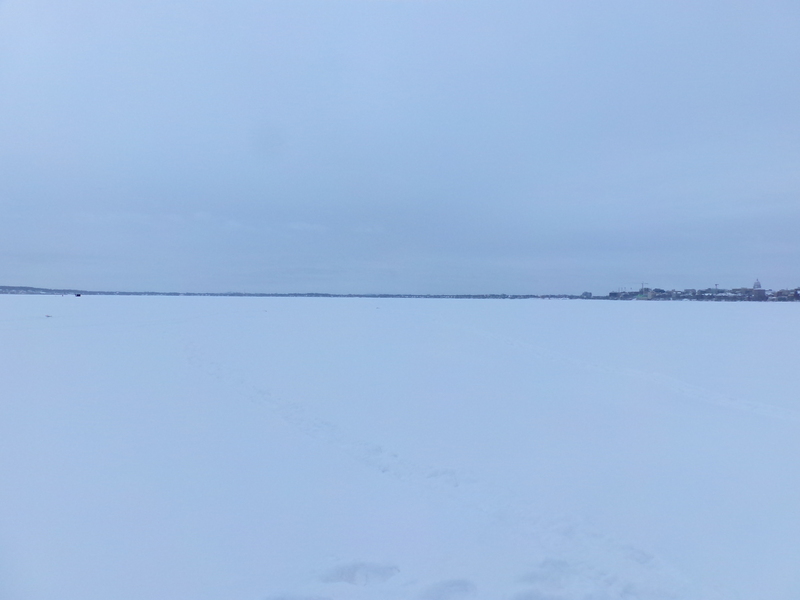 Last time at Fox Lake we were under basically opposite conditions. 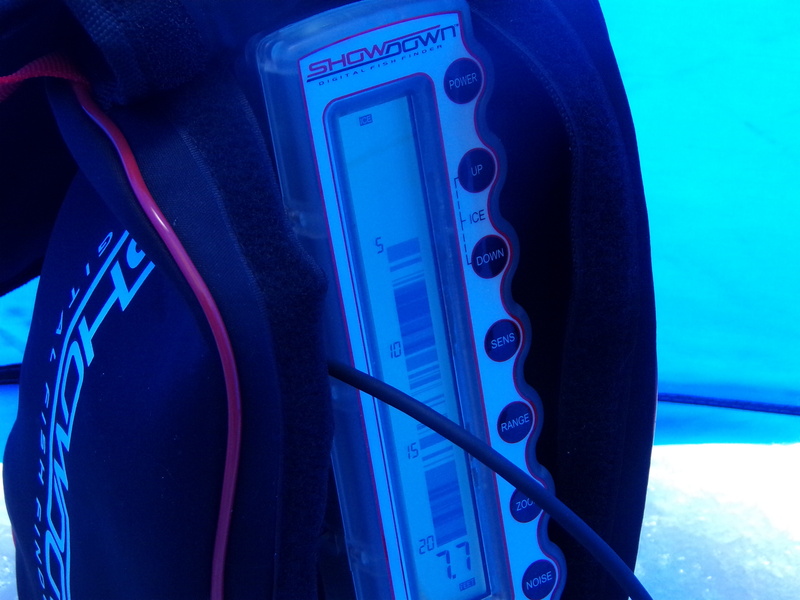 It was windy this day as a front rolled in, making us drift even with both anchors down. We forgot that this lake seems to have an early bite. People leaving as we put in had fish, and last time we caught them around 3:30 or 4pm. 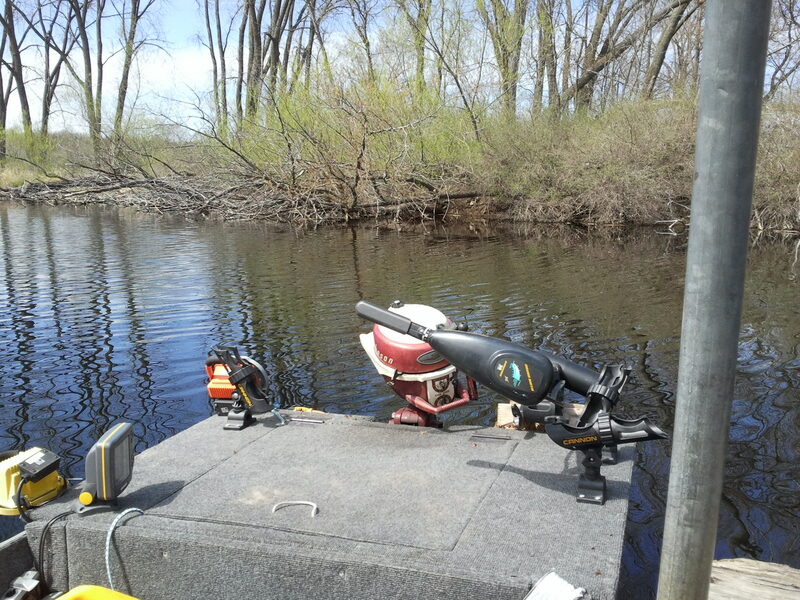 On the way down, our front trolling motor just…fell off. And by the end we were both pretty chilly- in August. Naturally, as I write this, it’s almost 90F. Some nibbles, and possibly some pike or walleyes that got off the hook, but only the one bluegill at about 8 inches. I’m guessing there will be a bit of a fishing lull until the water cools off prior to turn over. 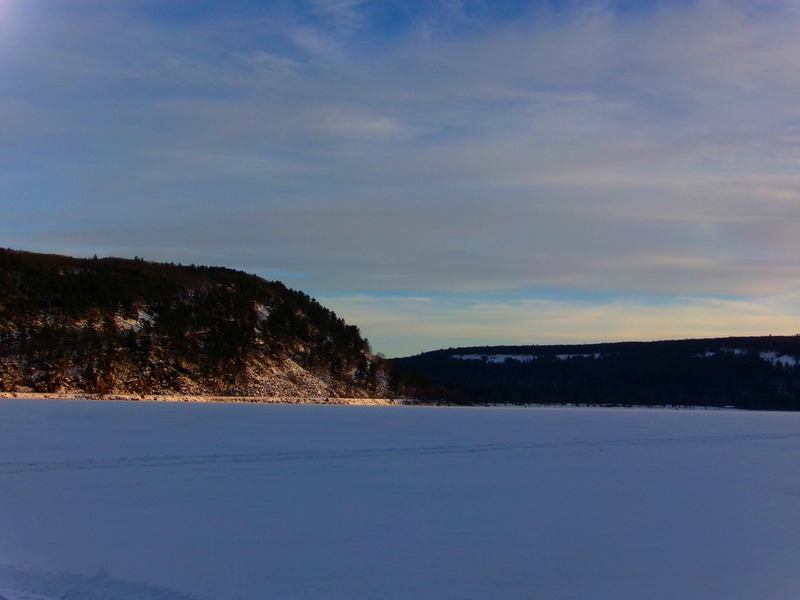 Saturday afternoon, we got in the truck to head west of town to pick up some of our trail cameras, and then hit Black earth Creek for a little fishing. There are some camera images to put up later, which is encouraging. 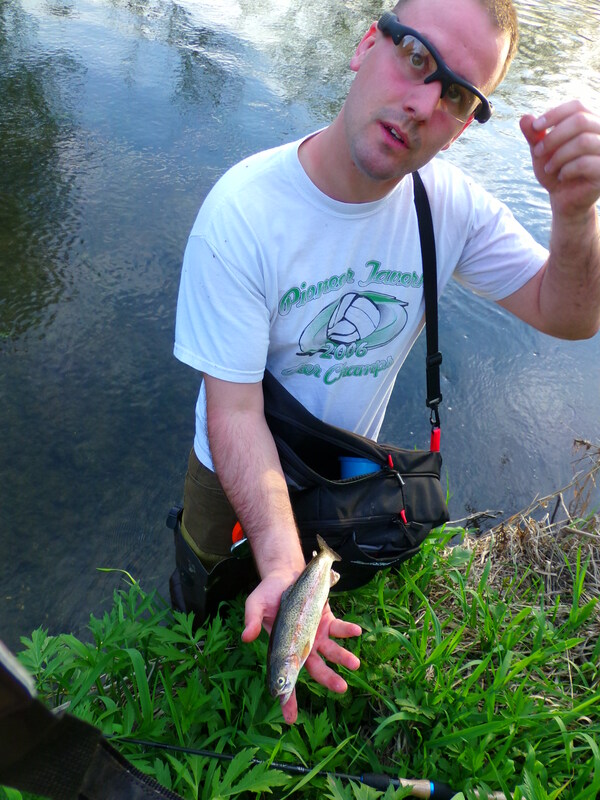 One trout on the day. 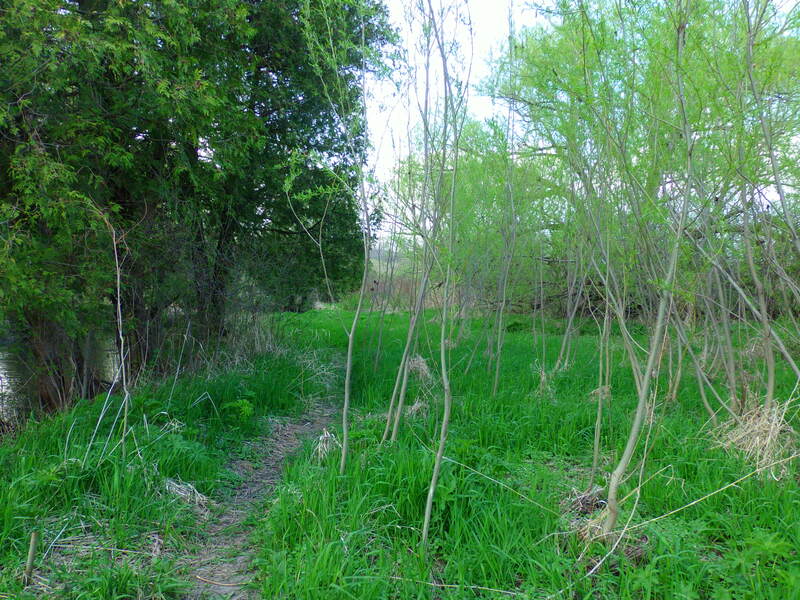 I saw some swells, but otherwise had nothing to show for crawling through hackthorns, mud, and scrubby black willows. 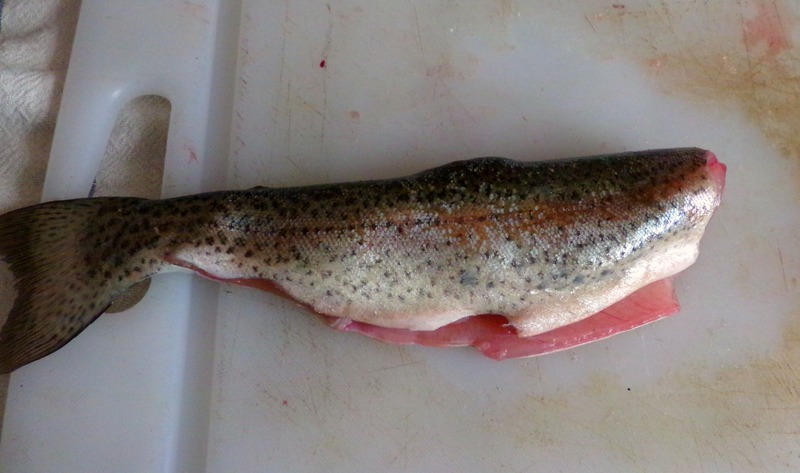 Matt’s little trout was 10.5″, an inch and a half over the limit. He came home with us. 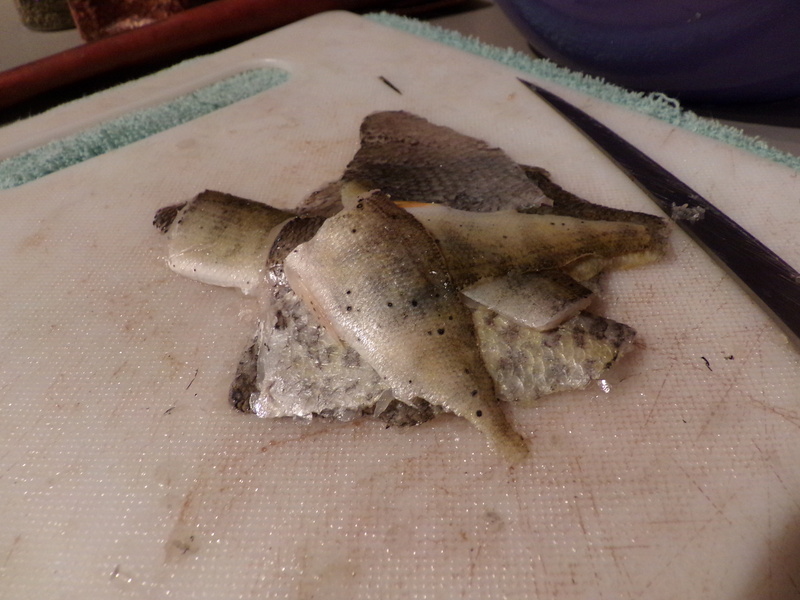 I didn’t want to fillet the fish and waste all that meat, since it was feeding the both of us. So I consulted Mr Hank Shaw’s blog, and lo. 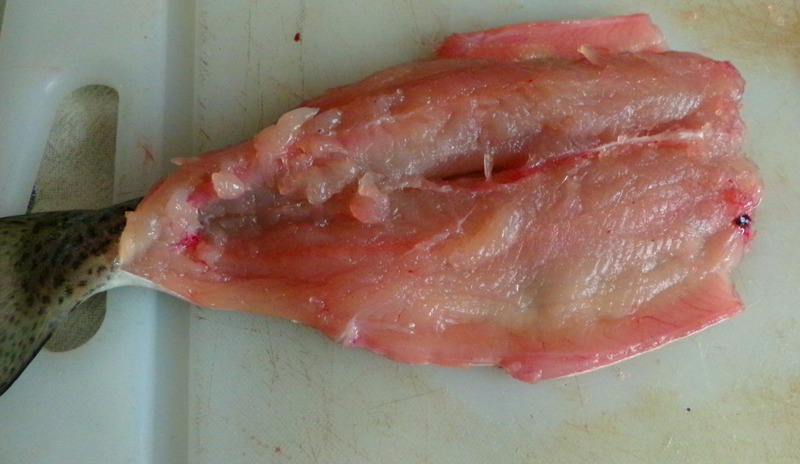 There was a tutorial on deboning a fish. Only slightly messier than neccessary. So, with the fish mostly bone-free, I started in on dinner. It was a simple one- I made Mexican-style rice, sauteed some snow peas, and sliced up half an avocado. 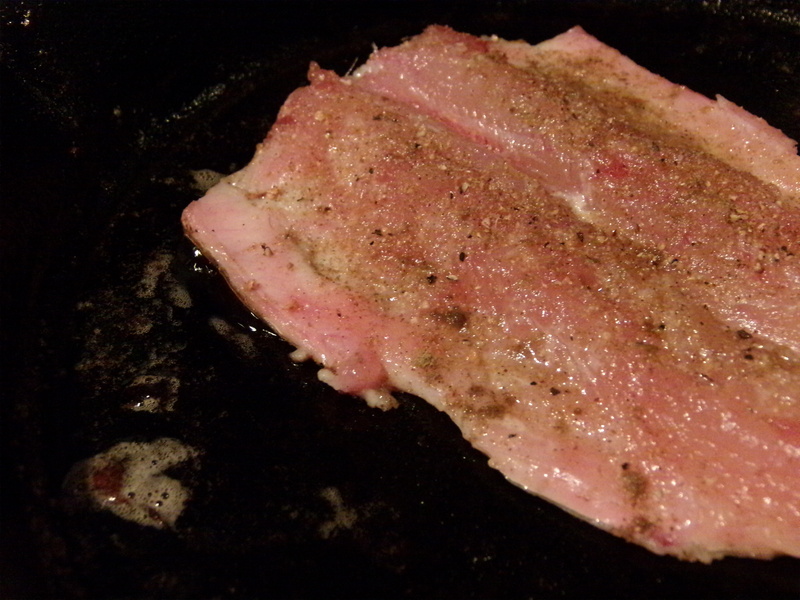 I seasoned the fish lightly with coriander, salt, and a touch of cumin, then pan-fried it, skin side down. I kept the heat at medium-med-low, and about halfway through I covered the cast iron pan to finish cooking the top of the fish, since I wasn’t going to flip it. It came out moist and flaky. 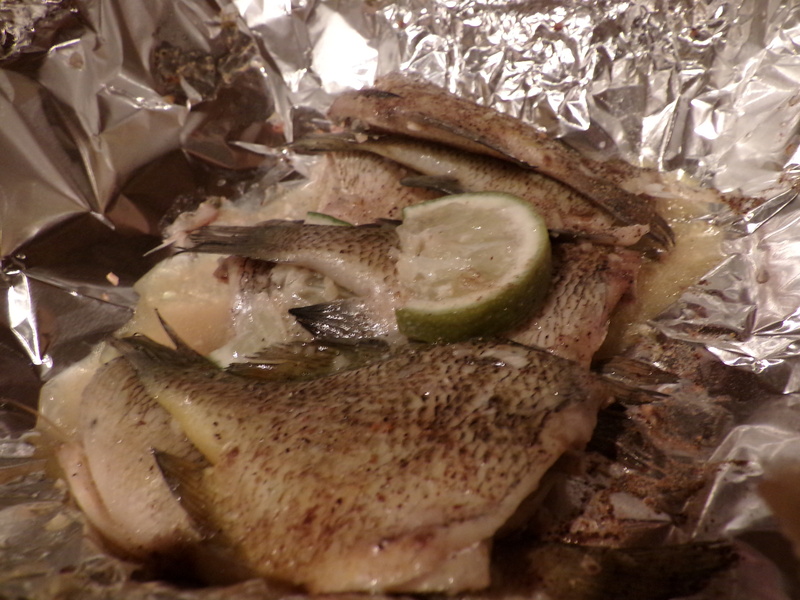 After getting the fish de-boned, the cooking process for it and the rest of the meal clocked in under 30 minutes. 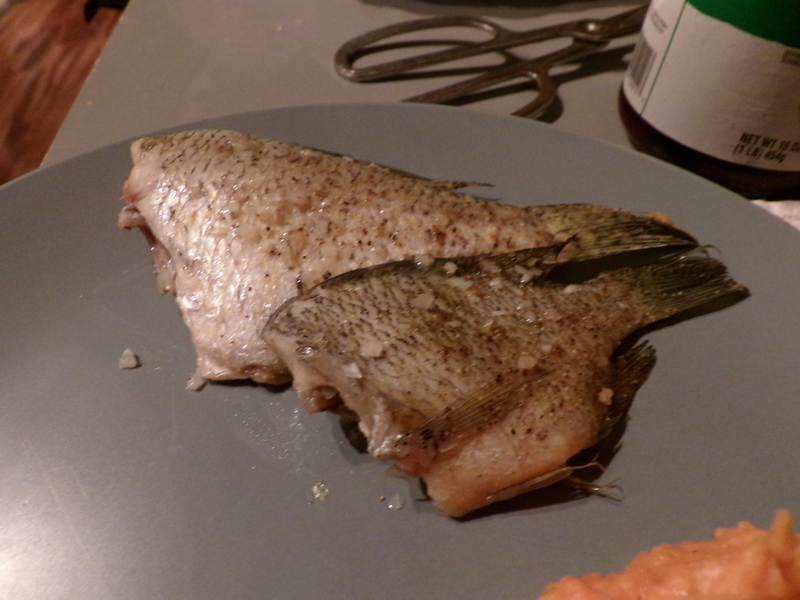 I split the fish lengthwise, and we each got half, along with a hearty helping of rice. 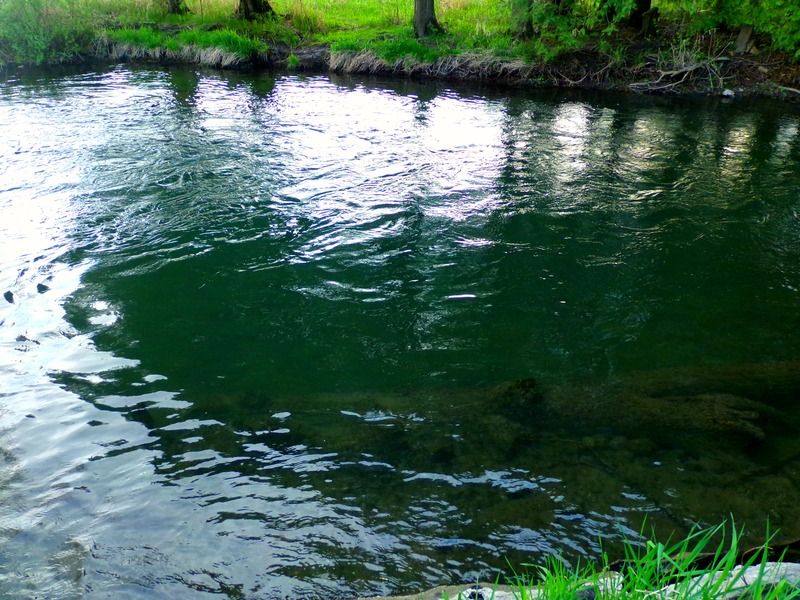 We’re hoping to get out for trout a bit more often. 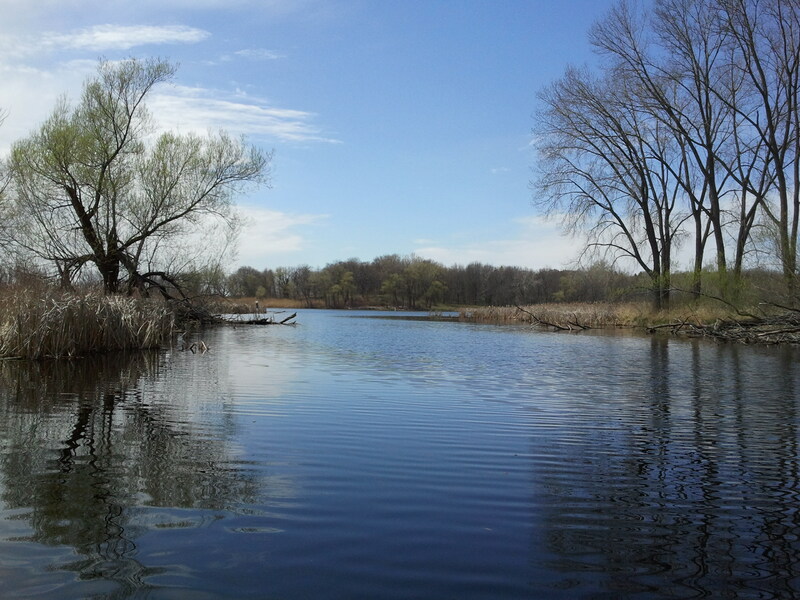 We headed up to Cherokee Marsh yesterday, hoping to catch a big catfish or two. The little Sea3horse survived winter. And the underbrush is finally just starting to green up. We were out for a solid 4 hours, but sadly no cats. 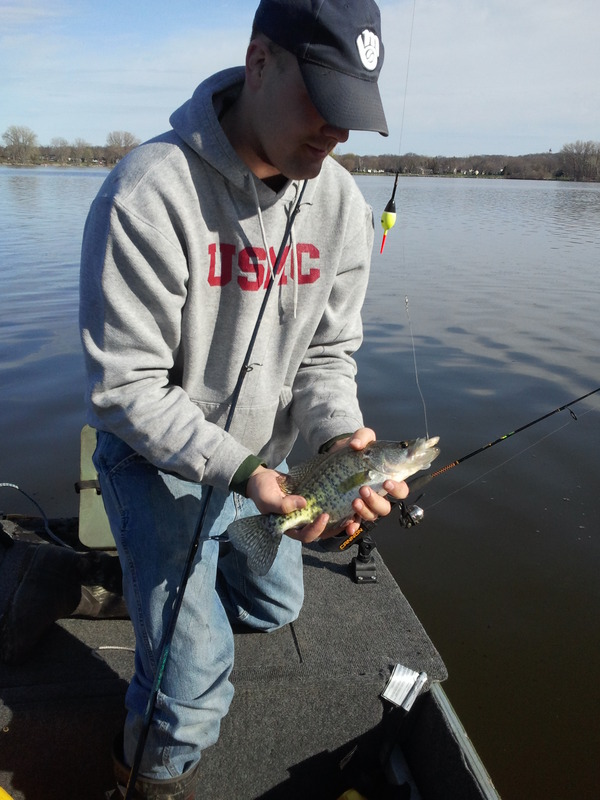 Mostly panfish seemed to be biting, and softly. Some other sort of fish were jumping, though, and clearing the water. Spawning probably. Maybe the sheepsheads or carp? We aren’t sure, we never got any of them to bite. 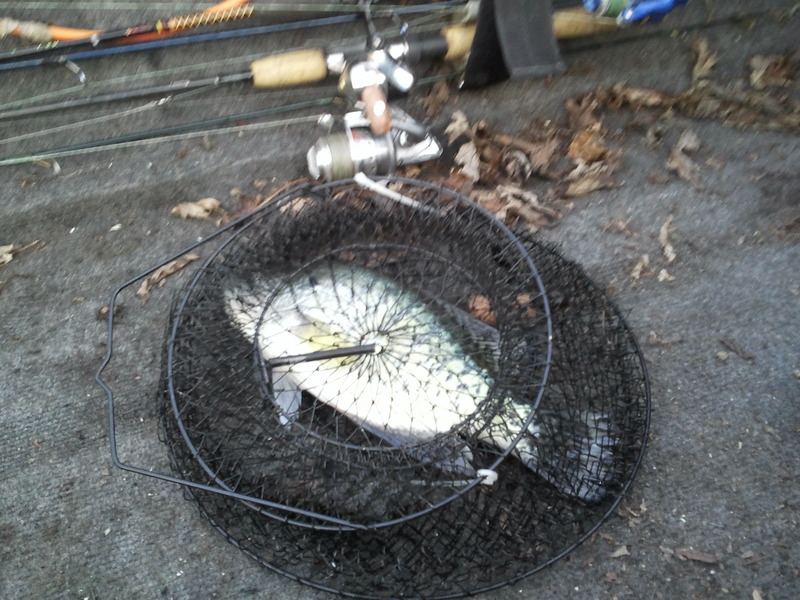 Our solitary catch last night was a very nice sized crappie. When we cleaned the fish, we saw she still hadn’t spawned yet. 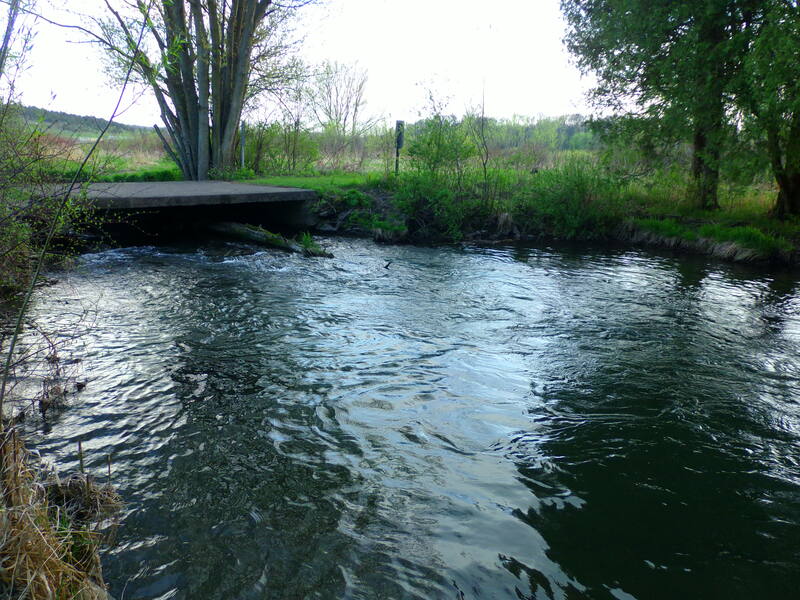 The walleyes went about a week ago, so the panfish spawn is probably a week or two out, once the water gets closer to 50F. In addition to our first fishing trip, we got out and hung some more trail cameras on Saturday afternoon. We found some interesting new spots, so hopefully something cool turns up. While Matt hung cameras, I poked around looking for morels. 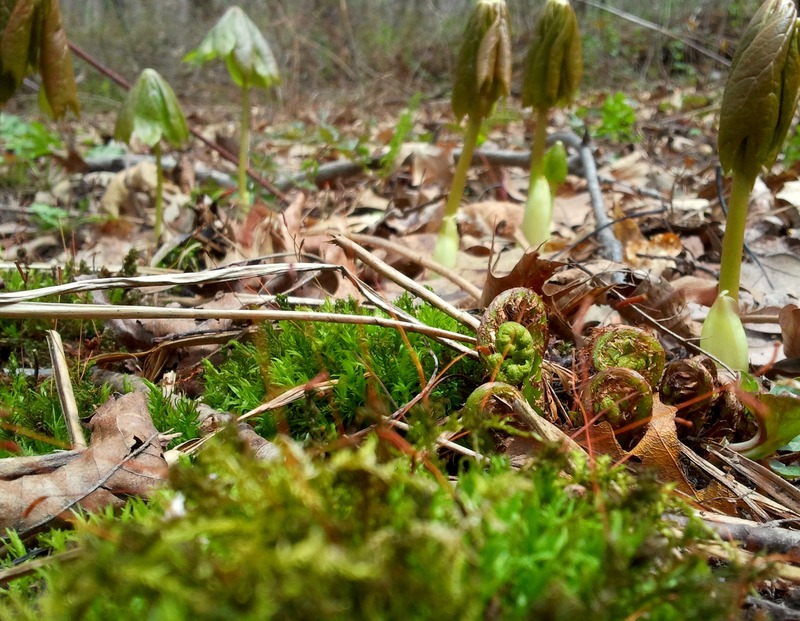 I found mayapples and fern fiddleheads, which are supposed to come up just before the mushrooms do. Not sure if these are the edible ostrich ferns or not. My dad’s been out picking for the last week down in Missouri, and he says they’re nearing the end of morel season with 80F temps on the way. He’s got over 20 pounds of the things, most of them in the process of dehydrating. I told him they sell for around $20 a pound. He’s contemplating driving up to my home area in the Illinois Valley, about 4 hours north of St Louis, to continue picking, and then up here to me. We’re supposed to get some temps in the 60s and 70s, but this time with nights above freezing. That plus the solid week of rain last week makes me think this week will be a good one for mushrooms. I hope so, I haven’t had morels in ages. 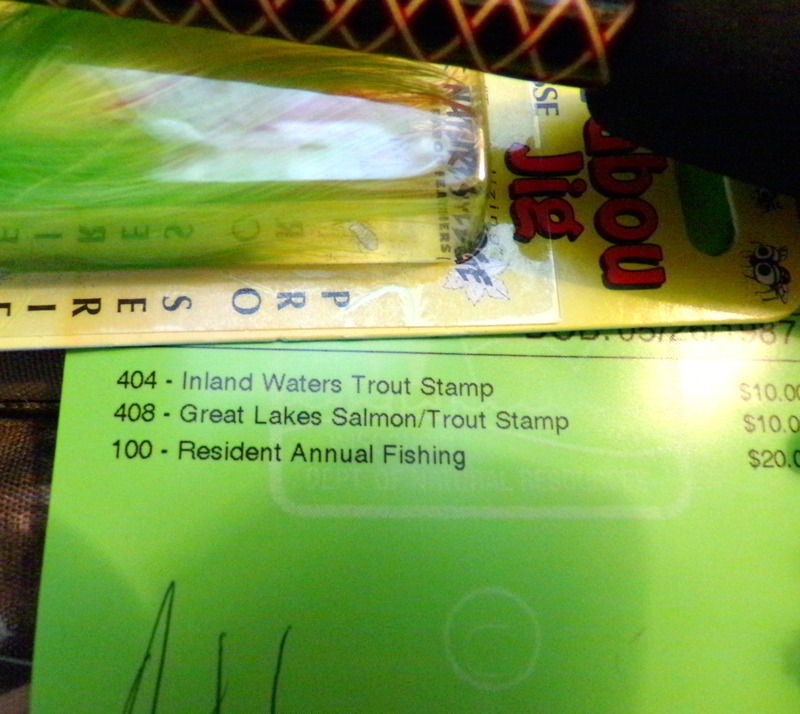 I finally got my fishing licenses today. The season opens tomorrow, and we hope to be out Sunday. 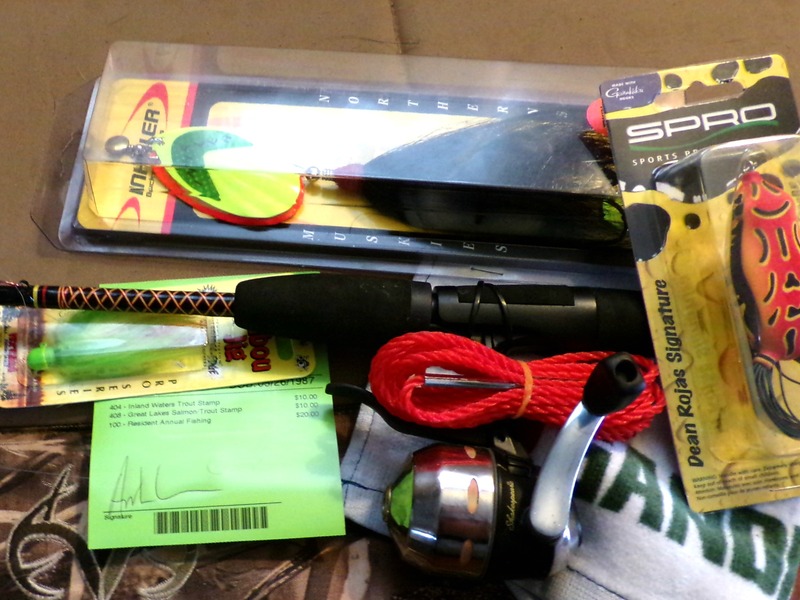 Matt also got a bunch of new tackle. 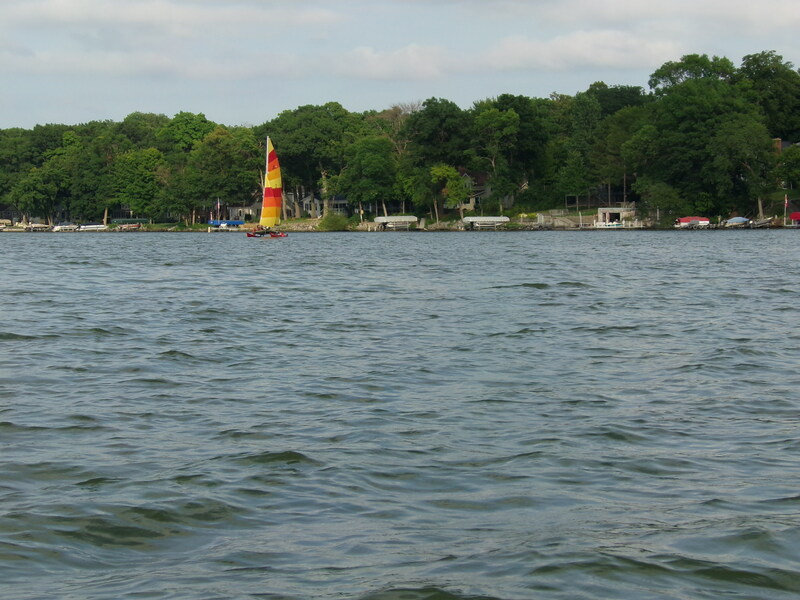 I’m ready to get out on the water. 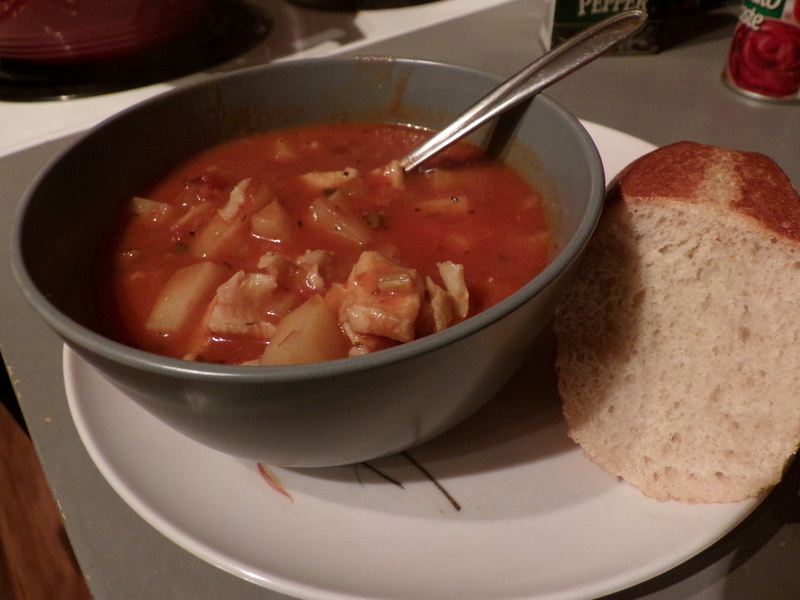 Wild Food: Italian Panfish Chowder. 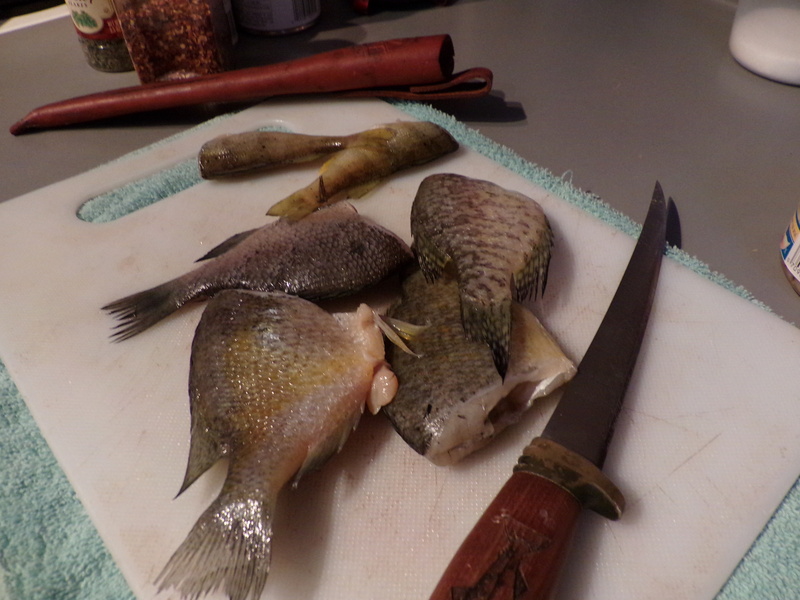 Monday night I had some thawed panfish on my hands, and few ideas. I wanted chowder again but not cream based. I found this recipe and tweaked it a bit. 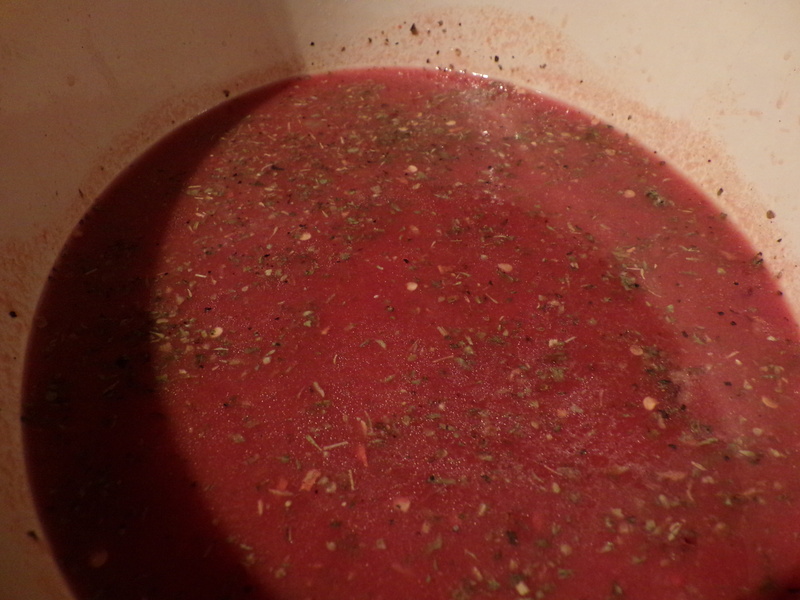 Mostly, less fish and I used concentrated turkey stock I made a while back and added some clam juice. 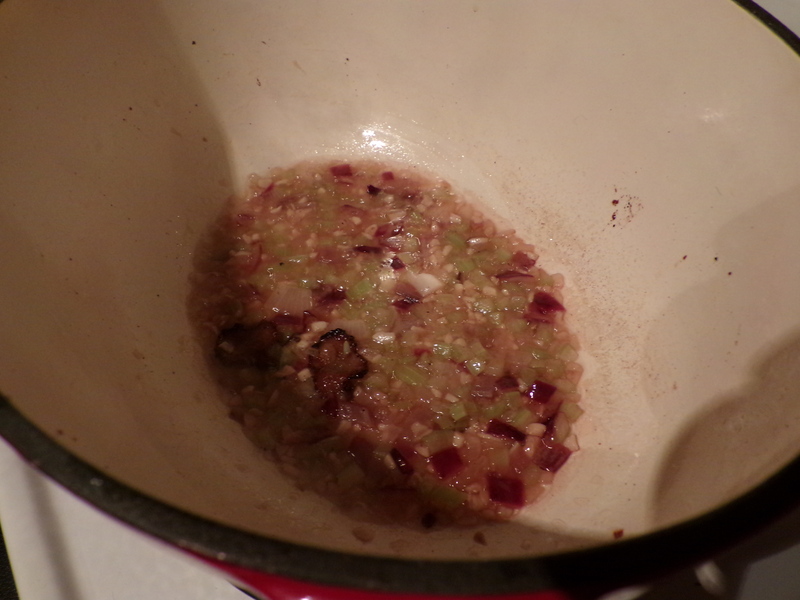 It came out spicier than I intended, mostly because I added way too much red pepper. However, a piece of bread or some avocado cooled it down pretty nicely. I would definitely love a chance to make this with some cod or halibut I caught myself. A girl can dream. 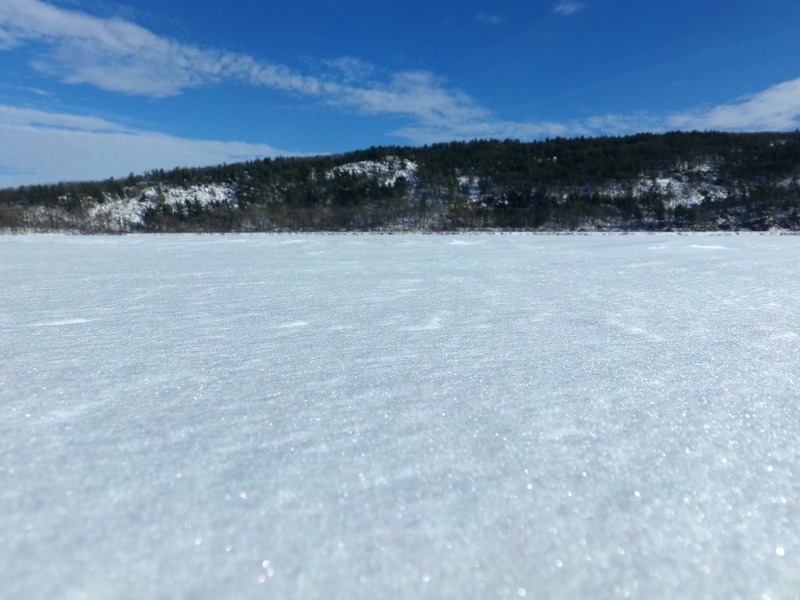 Maybe I can catch a burbot (lawyer fish or eelpout) someday. This is why we never fish the Madison chain. We went fishing Sunday morning. 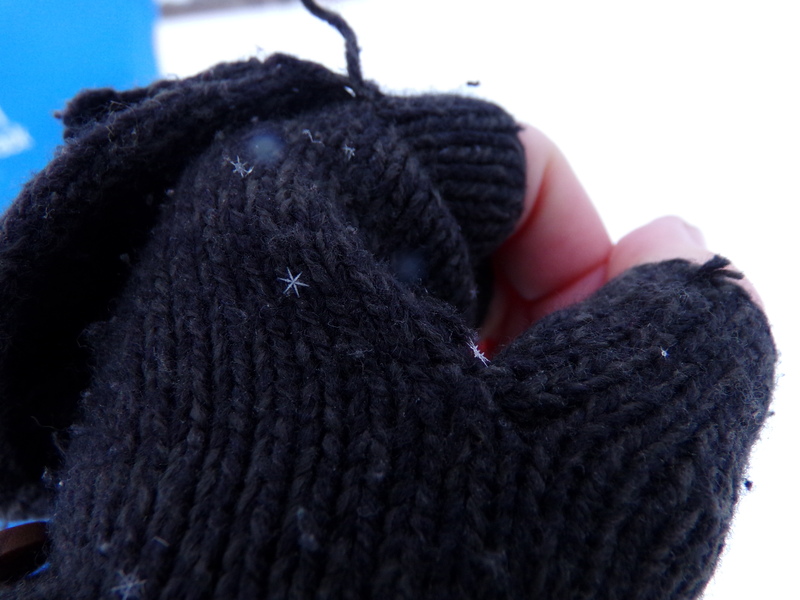 It was cold, windy, and snowy. We didn’t catch anything. 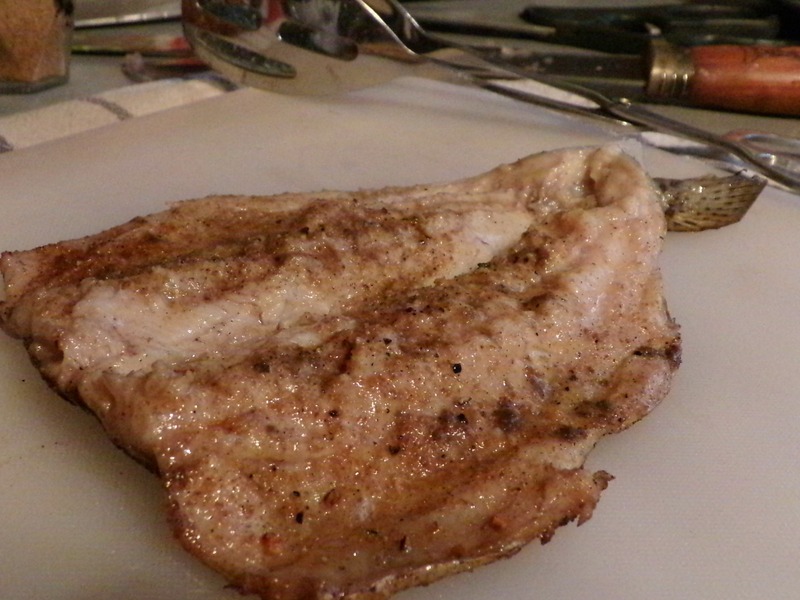 The leftover “large muskie sucker”. He survived the trip and is residing comfortably in our bait tank. 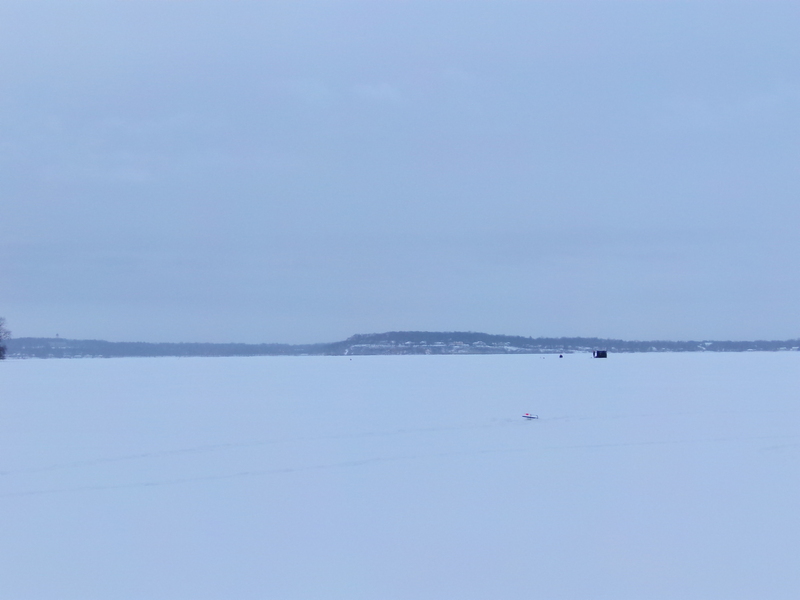 Looking straight east across the lake. 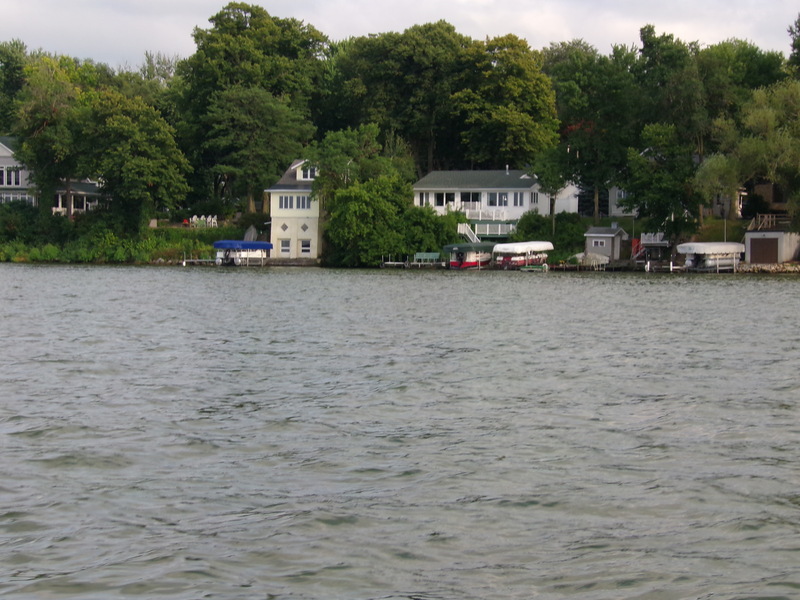 Our house would be in this direction, about 3 miles from the lakeshore. 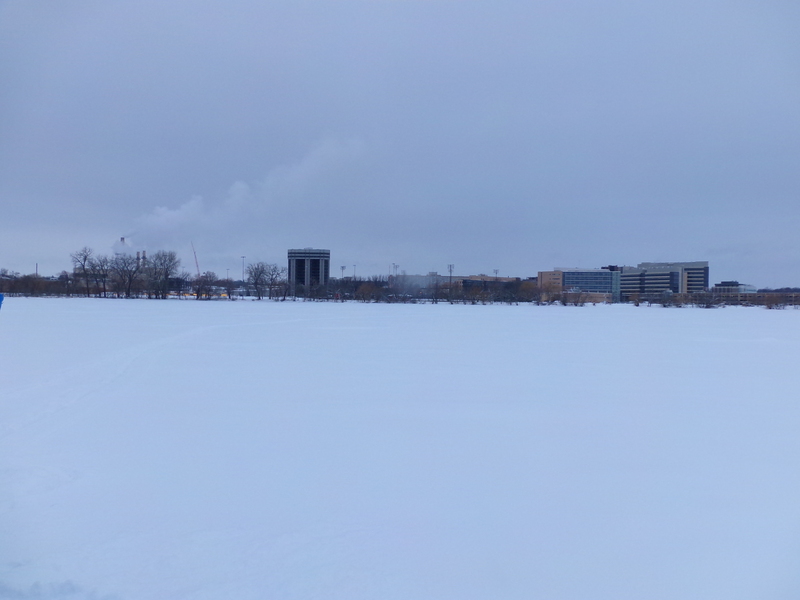 The west end of UW’s campus, mostly the medical campus. We were in about 8 feet of water, and marking fish. 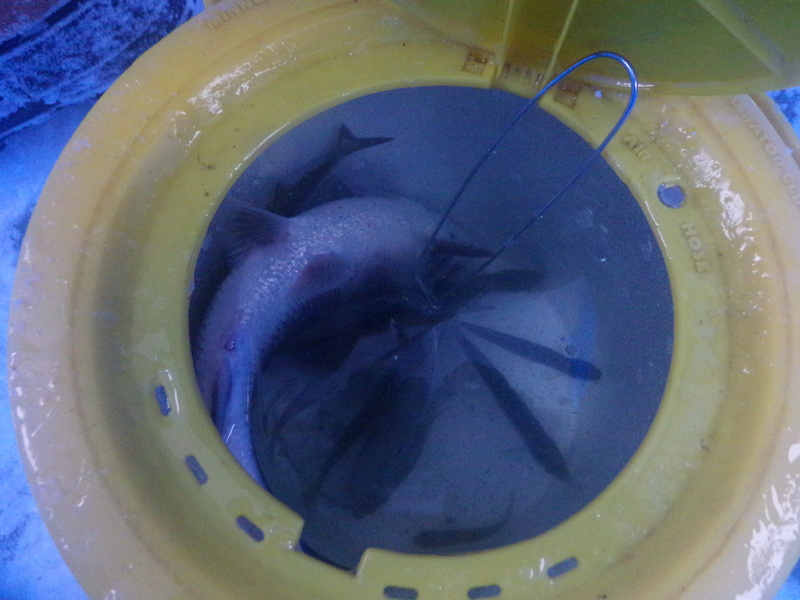 Not for the first time, we were marking fish. But they wanted nothing to do with us, in spite of bait and lure changes. Green/orange jigs typically do well for panfish for us, but not lately. Pink is another one we’ve had luck with, but not this day. School after school passed through, with no bites. 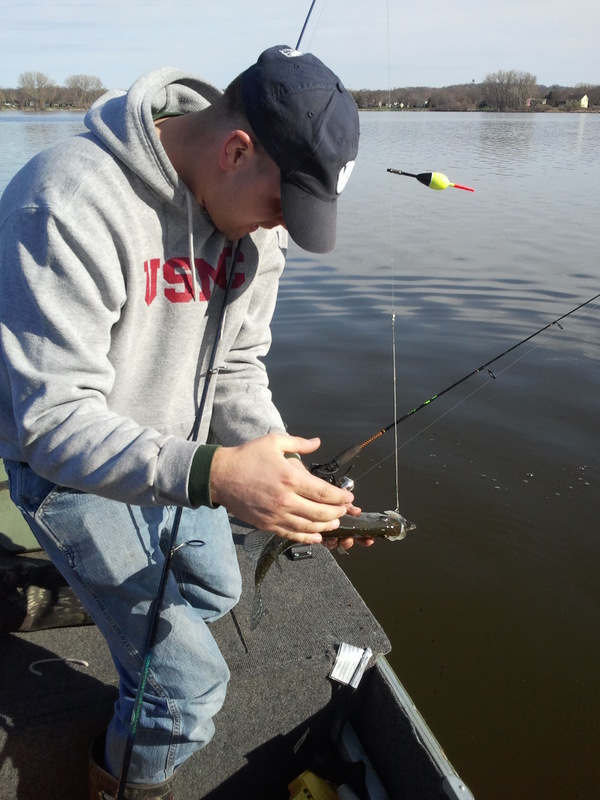 Matt did have a flag on the big sucker right away, and whatever it was stripped line, but spat the bait. Something that took an 8 inch long, 2 inch diameter sucker had to have been huge, though. Most of last weekend outside of Sunday morning’s short fishing trip was spent relaxing- Matt’s been puling 4 or 5 days of 16 hour + shifts, plus dropping into the office on weekends and calling the guys to keep them on track. They’re working to meet goals for the beginning of February. February-March-April is hands-down the worst time for recruiters. The last 3 I’ve witnessed have been bad, and this year is no different. Everyone’s burnt out, and there’s no end in sight yet. 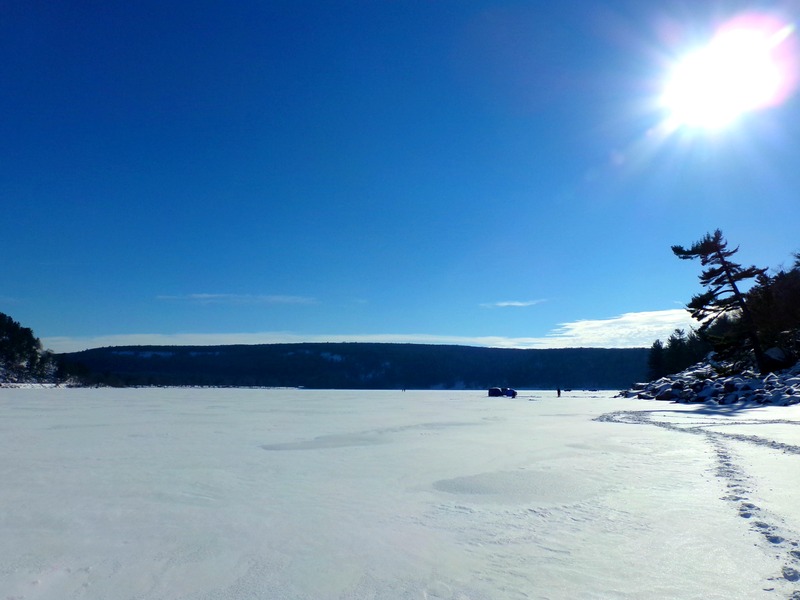 We’re not too sure where we’re going fishing this coming weekend, but we won’t be limited to just Madison. 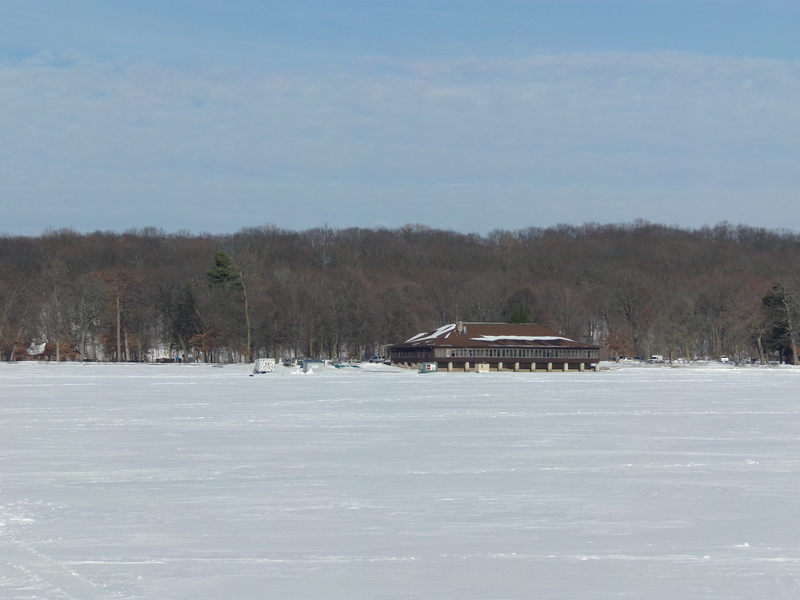 Maybe Fox Lake again, or make a return to Rock Lake for the first time since last year. 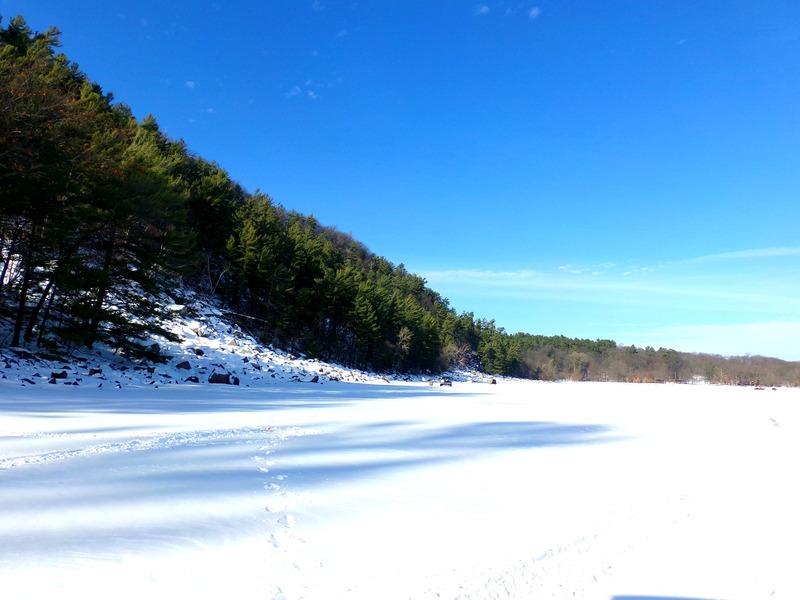 A Chilly January Fishing Weekend. Another weekend fishing is on the books. There isn’t a whole bunch to report. The Fisheree was fun but uneventful- fishing was slow for us, with just three fish between Matt and I. M’s family was out, and they got quite a few throughout the day, but nobody else’s tipups were taking off. 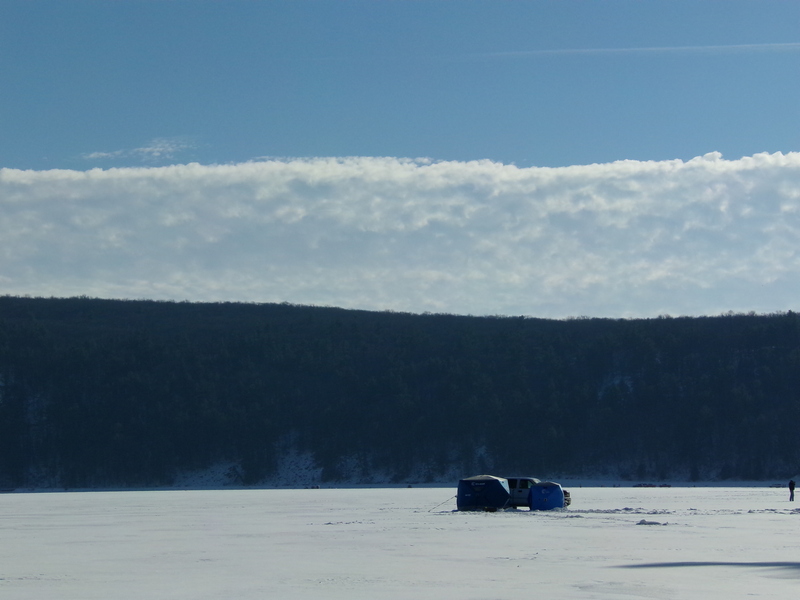 Just as I was heading toward my lines to bring them in, I got a flag and pulled up my first northern, though. We had a good time anyway. 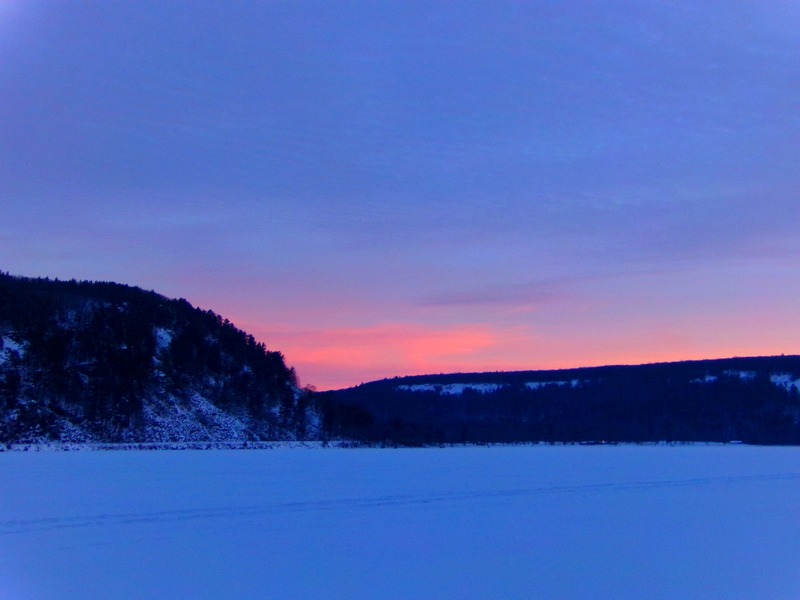 Sun coming up over the lake. Matt drilling the first hole. The most unique shanty I’ve ever seen. At 5F, beer will freeze upon opening, and then make frozen beer slush waterfalls. Snack and bloody mary bar. All the fish had gorgeous, vivid markings. A sad, un-sprung tip up. And then you have a fishbat. We saw people dueling with their fishbats. When you turn a fish in for a prize, they nail it to a board. If it’s cold, it freezes. After a slow Fisheree, we decided to head out Sunday as well. 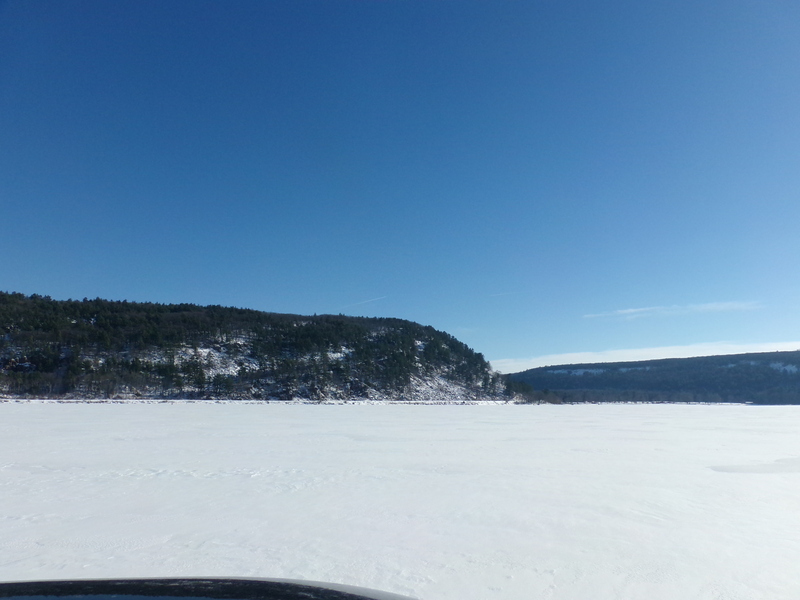 We went out for trout to one of my favorite places- Devil’s Lake. So far, I’d only been hiking here, never fishing. But it’s a gorgeous park. 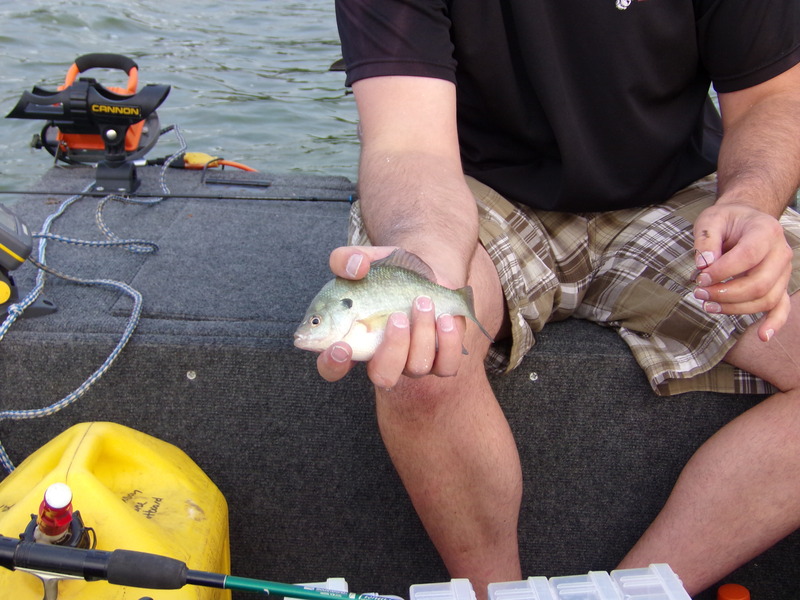 We had one fish here- a 13 1/2 inch largemouth early in the afternoon. We marked a lot of fish, but nothing went for our bait. No trout, either. Some pretty picture opportunities, though. 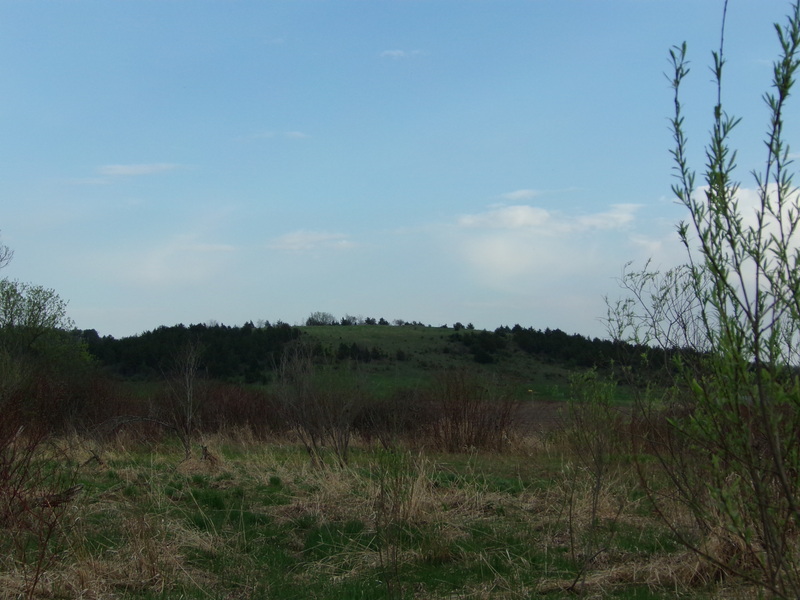 The head of the east bluff. My bass. 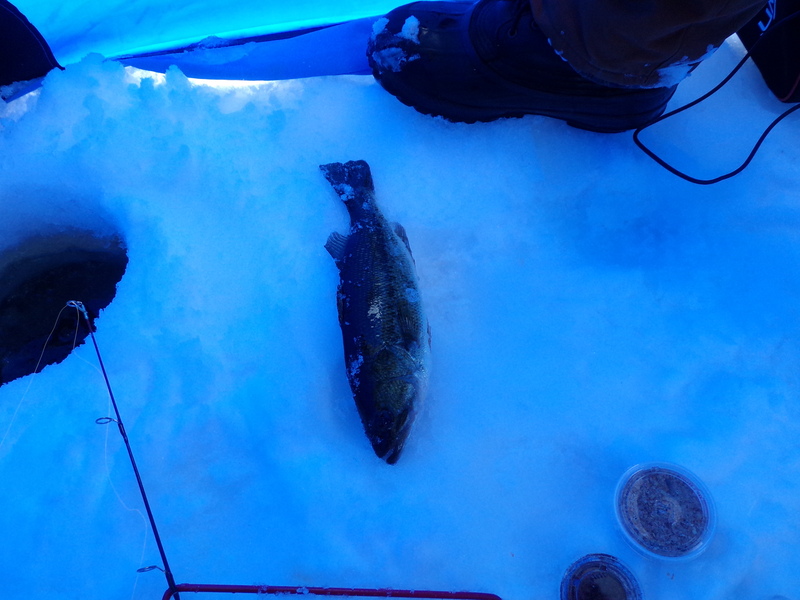 I almost lost it- Matt valiantly and quickly reached into the icehole to catch it when it came off the hook. 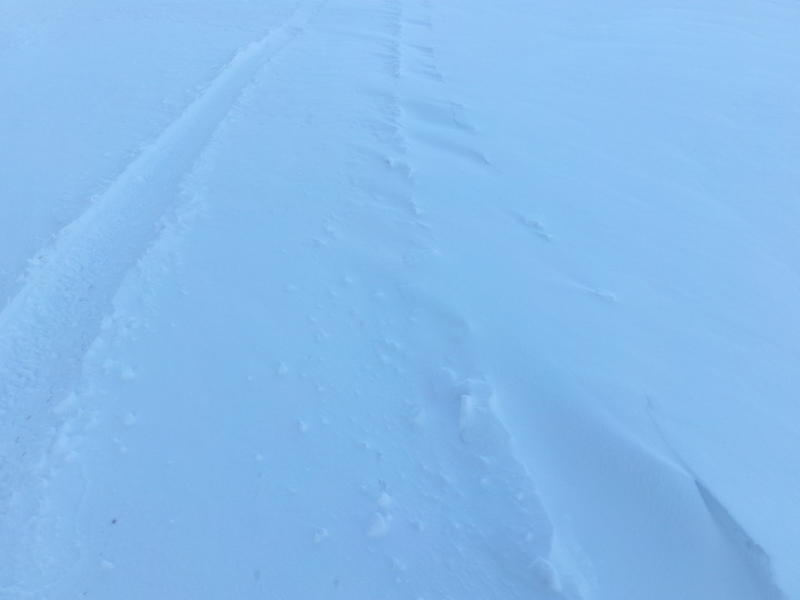 Snow drifting over the tracks. Wild Food Gets a Little Humble. After the blitz of adventurous crappie cooking and posts last week, I’m really sort of groping for something this week, food wise. I cooked dinner Monday and Tuesday night, and yeah, they were both from wild animals. But I didn’t follow any fancy recipes or anything. I just needed to get some good, simple food on the table. I took pictures anyway. They were a mix of bluegill, perch, and crappie. 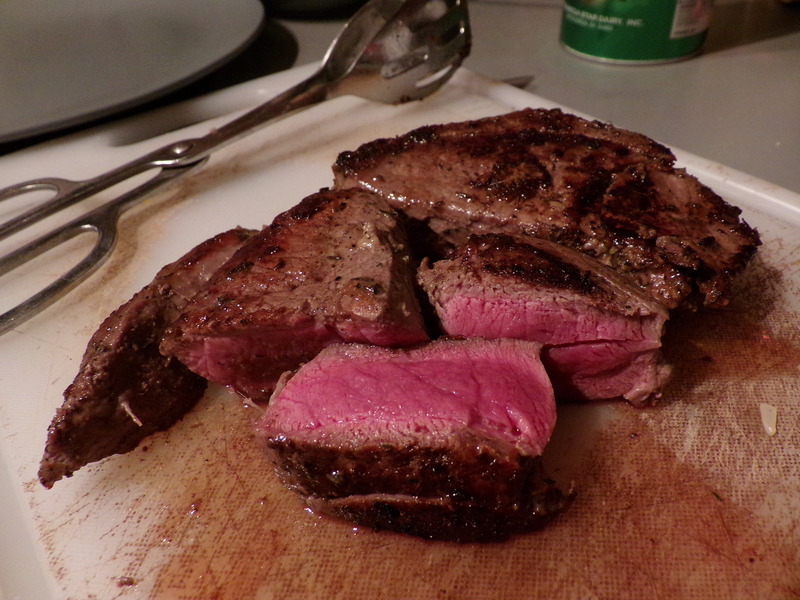 Baked in butter with salt, pepper, and limes. 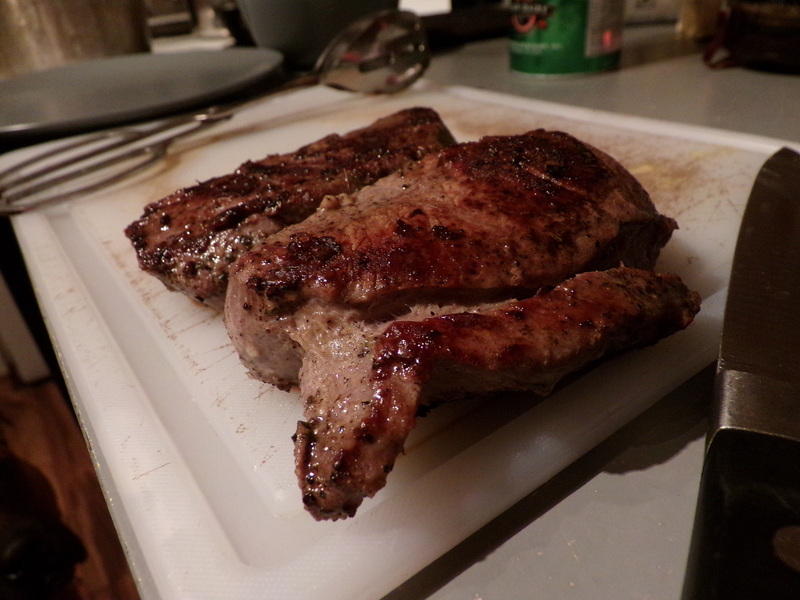 Tuesday night was venison steaks with a light Parmesan crust. Matt said he was tired of venison, and just wanted macaroni. So I made him macaroni and now I have leftover steak for lunch today. This is a blog by someone who's moved a little ways past Tenderfoot status. 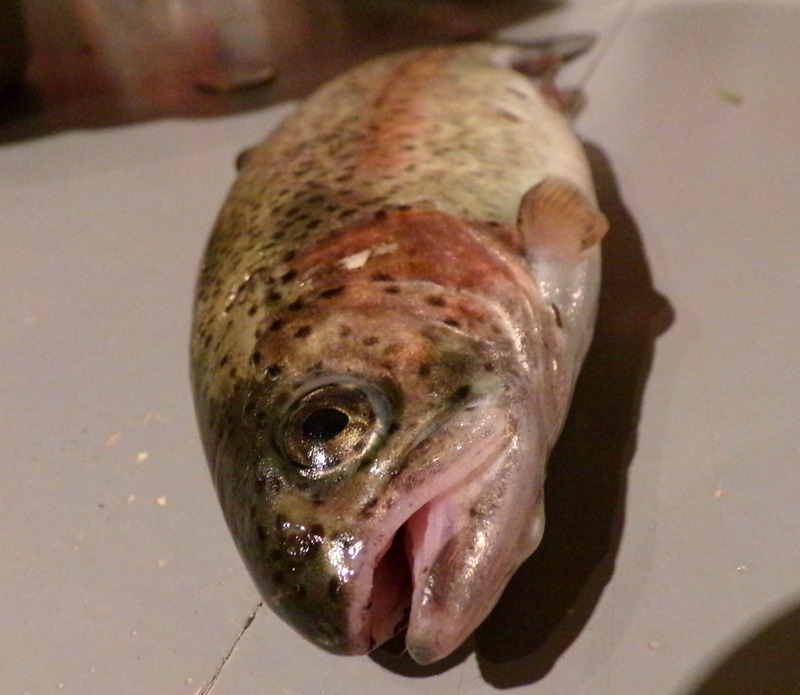 Stick around for hunting, fishing, foraging, and cooking posts. I'm not your average outdoorswoman.